Bored with all the structure in her life, Alice does what any of us would do: She follows a rabbit down an elevator shaft to a world where nothing makes sense. But can she hang on to her own identity as she grows and shrinks, argues with birds, swims in a sea of her own tears, and gets put on trial by a deck of playing cards? 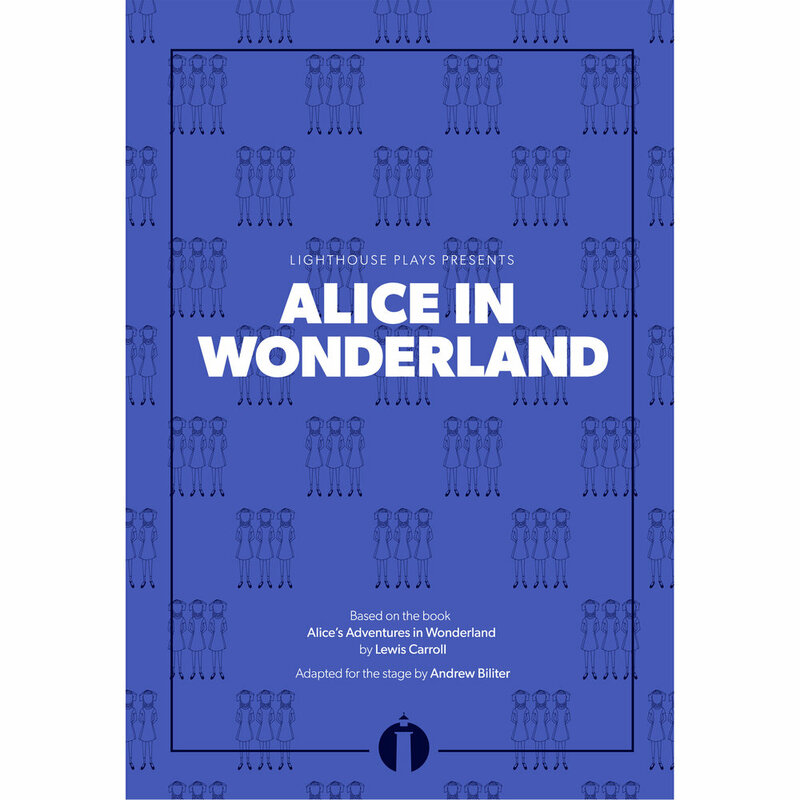 With so many play versions of the Alice stories in circulation, Andrew Biliter’s stands out from the pack by splitting the part of Alice in three—adding impact to the many passages in Carroll’s original where Alice wonders aloud if she is still herself.